June is National Homeownership Month, a time to celebrate the benefits that homeownership brings to families, neighborhoods, and communities across America. It’s also an opportune time for you to educate prospective borrowers on the value of homeownership. In this 4-part series, we’ll discuss the housing market, the benefits of homeownership, the challenges first-time homebuyers face, and how different mortgage structures can help your borrowers. As a loan officer, you probably keep a running list of all the things you wish your first-time homebuyers knew but don’t. Wouldn’t it be nice if you could hand them a list of to-dos and educational resources with minimal work? We’ve got you covered! 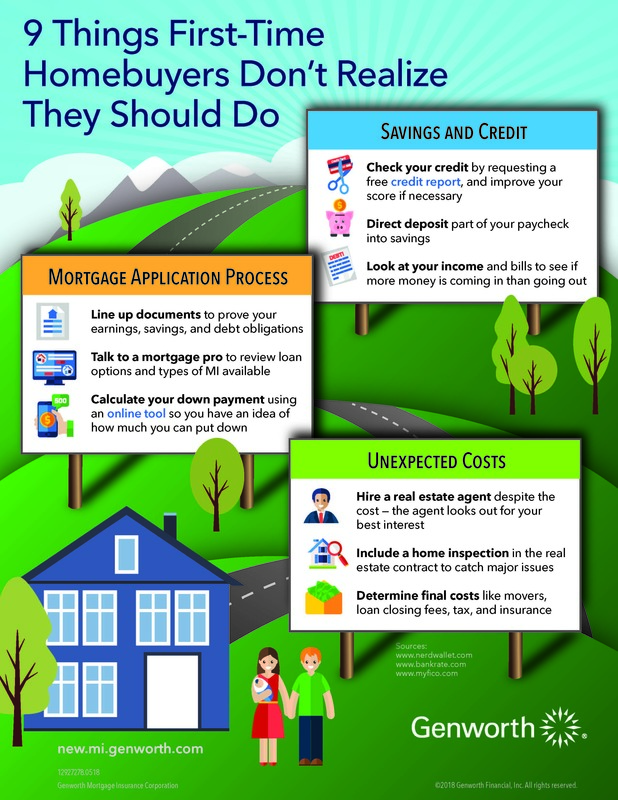 This infographic covers the top things first-time buyers overlook during the mortgage and home buying process. Download it and share with your new first-time homebuyers to make your life (and theirs) a bit easier. Want to receive next week’s post in your inbox? Subscribe to our blog so you never miss a beat! Find Part 1 of our National Homeownership Month Series here.